I don't know what portions of the MK-9 SEAL Delivery Vehicle are still classified and which parts are not. Since they have MK-9's and photos of MK-9's on display at museums, it must be the interior of the boats, which still have classified portions - dealing with inertial navigation. The MK-9 SDV is very small, carries a two man crew and is very uncomfortable to operate. It was a weapons platform to deliver two MK-46 torpedoes. 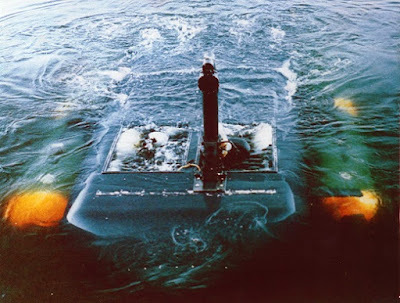 This answers John Coffey's question from this morning on whether or not you could arm a very small mini-sub with torpedoes. There were still two MK-9 SDV platoons when I was at SDVT-One (a reservist at the time) in the early 1990's. I have heard that they retired the MK-9. A friend of mine called me and said that I had to check out the Hyper-Sub. 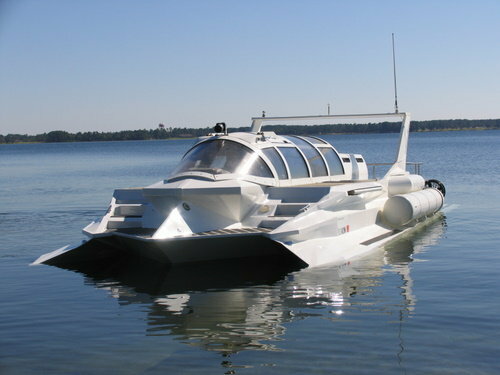 As a speedboat, the Hyper-Sub deploys very easily and quickly from almost any dock or beach, and can travel long distances in most weather conditions while being able to do so without the aid of a transport or support vessel. This allows the Hyper-Sub to operate at only a fraction of the cost of other systems that are capable of accessing the sub-sea environment. 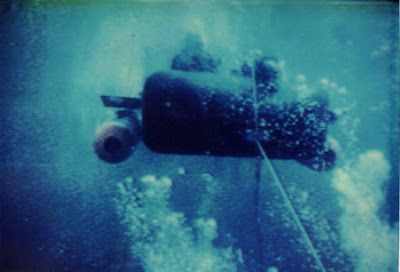 As a true submarine, a Hyper-Sub can dive repeatedly when deployed given its ability to recharge its batteries and dive air unlike its smaller submersible counter parts. 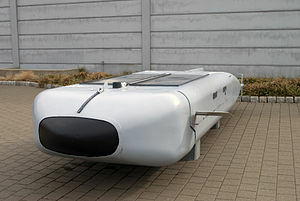 It provides protection for its crew from changes in pressure when it dives and protects its crew from the environment. As a result, the Hyper-Sub can remain deployed for many days while either on the surface, submerged, or in any combination of the two. I don't know that the platform represents the "future of Naval Special Warfare", but the technology has some serious potential.